If you have come to the casino with hopes of winning a life changing payout then take a look at some of our progressive jackpot games. There are loads of games linked to some huge progressive jackpots and there is no reason you can’t win one of them, take a look at a small selection of our jackpot games below. 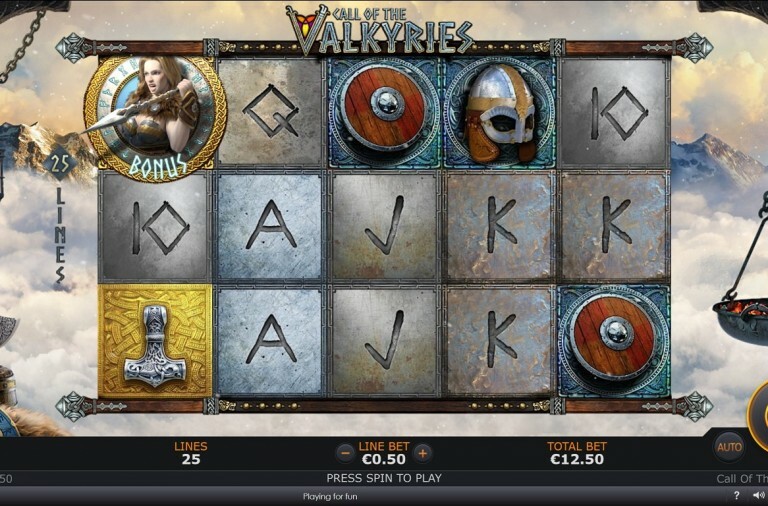 If you follow progressive jackpot games then you are bound to have come across the Age of the Gods series of slots. One of the games in this series is Fate Sisters and it is linked to four progressive jackpots the largest of which is worth over £210,000 and growing all the time. 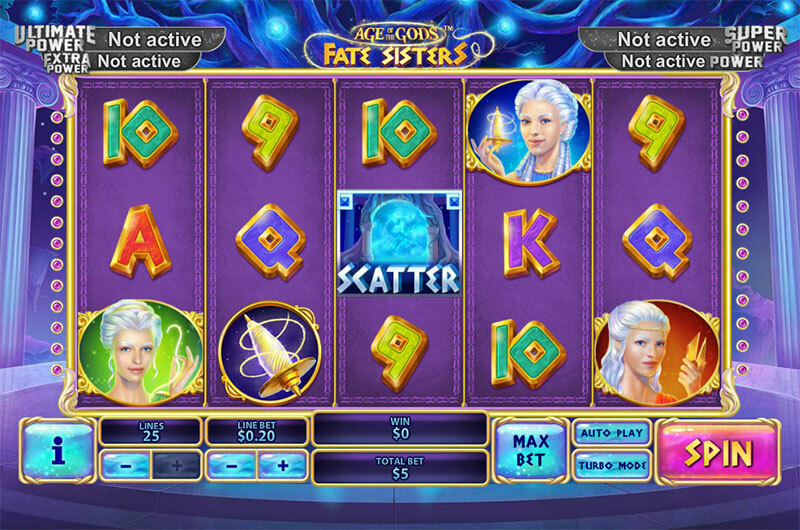 Age of the Gods: Fate Sisters is a 5 reel slot with 3 rows and up to 25 paylines. The reels are set in a gold rim behind which you can see a circular temple surrounded by pillars. There are five high value symbols, the three fates Lachesis, Clotho and Atropos, as well as a compass device and some kind of spinning top. The lower value symbols are the playing cards 9 through to A. There is a gold coin featuring the faces of the three sisters that is wild. It can substitute for all the other symbols, except the scatter, to help and form winning combinations. The scatter symbol is a view of the night sky through a window. If you want to win the progressive jackpot then make sure you keep the reels spinning as the jackpot game can begin after any spin, even a losing one. Best of all, once it is triggered you are guaranteed to win a jackpot. 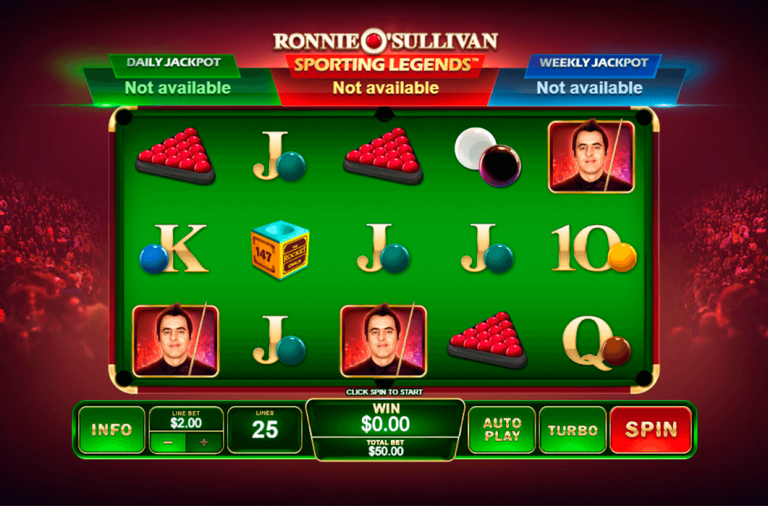 In the game you are shown a grid of gold coins and need to select them one at a time to reveal which of the four jackpots they represent. When you have found three matching symbols you win the corresponding jackpot. From largest to smallest the jackpots on offer are: Ultimate Power, Super Power, Extra Power or Power. At any point while playing, if you land Lachesis on the first reel, Clotho on the third and Atropos on the fifth you will receive a free re-spin with the three fates frozen in place. During the spin the fates will behave as scatter symbols so you will win a payout as long as at least one more fate lands on the reels. When three or more of the scatter symbols land anywhere on the reels The Fates’ Portal Free Spins begin. You are given the choice of three different free spins games, one for each sister. If you choose Atropos’ Temple you receive fifteen free spins with dynamic multipliers. Every time that Atropos lands on reels one, two, four or five the multiplier will increase by 1x up to a max of 5x. If she fails to land then the multiplier decreases by 1x to a minimum of 2x. When she lands on the third reel you receive three more spins. If you choose Lachesis’ temple you will receive ten free spin during which any wilds that land will freeze in place for three spins and landing Lachesis on the third reel awards three more spins. Choosing Clotho’s Temple awards you eight free spins with three random wilds per spin and landing Clotho on the third reel awards three more spins. The slot has a betting range of £0.01 up to £2,500 per spin and in addition to the progressive jackpot it offers a top payout of 10,000x for landing five wilds along a payline. Lachesis can payout up to 500x, Clotho can payout up to 300x and Atropos can payout up to 100x. The other two high value symbols can both payout up to 90x. Why not see what the fates have in store for you, give this slot a spin and you may win the progressive jackpot. 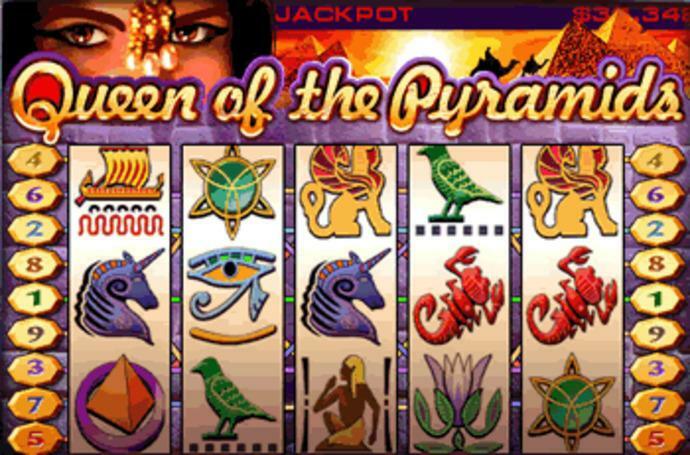 If you like the idea of going on an adventure back in time to the time of the pharaohs in Egypt and also giving yourself the chance to win a progressive jackpot worth over £173,000 then give the slot Queen of the Pyramids a spin. It is a 5 reel slot with 3 rows and up to 9 paylines. At the top of the screen you will see a view of the pyramids complete with camels while the queen is keeping a careful eye on what is happening below. All of the symbols are related to the theme and include a green bird, the sphinx, a person, a decorated blue sphere, three fish, a flower, a boat, the Eye or Ra, a pyramid and a pharaoh. The pharaoh is the slot’s wild symbol, it can substitute for all the other symbols, except the scatter and bonus symbols, to help and form winning combinations. It is also the key to winning the progressive jackpot. If you are betting at least £0.25 per payline and you land five pharaohs along an active payline then you have won the jackpot. The scorpion is the scatter symbol and landing three, four or five of them anywhere on the reels awards 5, 25 or 100 free spins respectively. Better still, during the free spins a feature called Super Payout Mode is active and it awards a 5x multiplier to all wins. Best of all, the free spins can be retriggered indefinitely by landing more scatters on the reels. When three or more of the unicorn bonus symbols land along an active payline a mini-bonus begins. You spin a bonus wheel and it will award you a multiplier of your line bet. 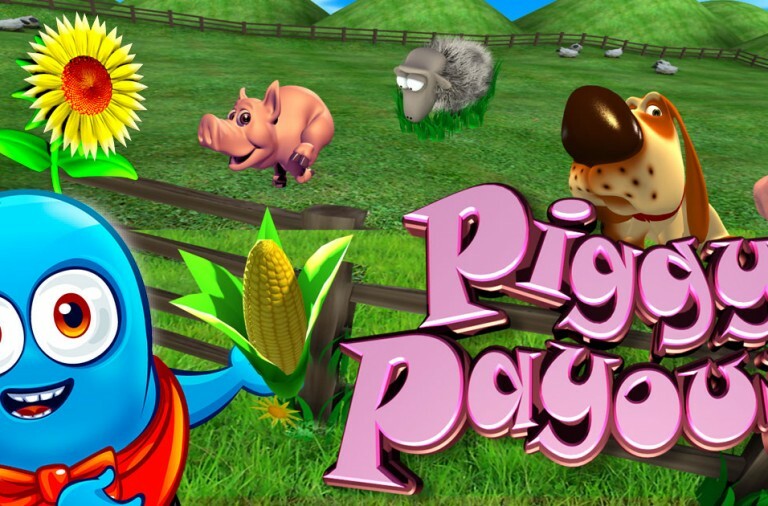 If it is triggered from the free spins then you receive an additional 5x multiplier. Queen of the Pyramids has a betting range of £0.01 up to £2.25 per spin so it won’t cost you a fortune to play for this huge jackpot. In addition to the progressive jackpot it offers a top payout of 500x for landing five pyramid symbols. The boat and the Eye of Ra can both payout up to 300x, the flower and the fish can both payout up to 200x, the person and the blue sphere can payout up to 150x, and the sphinx and the bird can both payout up to 100x. There is no reason why you can’t be the next person to receive the queen’s jackpot so give this slot a spin today and with a bit of luck you’ll soon be celebrating a huge win. If you are not a fan of flashy video slots that are packed with special features but you still want to play for a huge progressive jackpot then don’t worry. Take a look at Jackpot Bells slot at Winner Casino, a game that traditional players are sure to love and it is offering a progressive jackpot worth over £141,000! Jackpot Bells is a 5 reel slot with 3 rows and just 5 paylines. As mentioned it is a very traditional game and as such it has a simple red background while the symbols include cherries, lemons, oranges, plums, grapes, watermelons and lucky red 7s. The golden bell is the wild symbol and it can substitute for all of the other symbols to help and form winning combinations. Furthermore, when it lands on the reels it will expand to fill the entire reel. As a fruit machine, the slot doesn’t really have any other special features. However, this doesn’t mean that you can’t win a huge amount. If you land the golden bell wild symbol on all five reels simultaneously then the wilds will expand, filling the reels with wilds, and the progressive jackpot is yours. Jackpot Bells has a betting range of £2 up to £25 per spin so everyone can play for the jackpot, regardless of budget. In addition to the progressive jackpot it offers a top fixed payout of 1,500x for landing five red sevens along a payline. The melons can payout up to 250x, the grapes can payout up to 100x, the plums can payout up to 60x, the oranges can payout up to 50x, the lemons can payout up to 40x and the cherries can payout up to 30x. This is a very simple slot but it offers hours of fun and the chance of huge winnings. 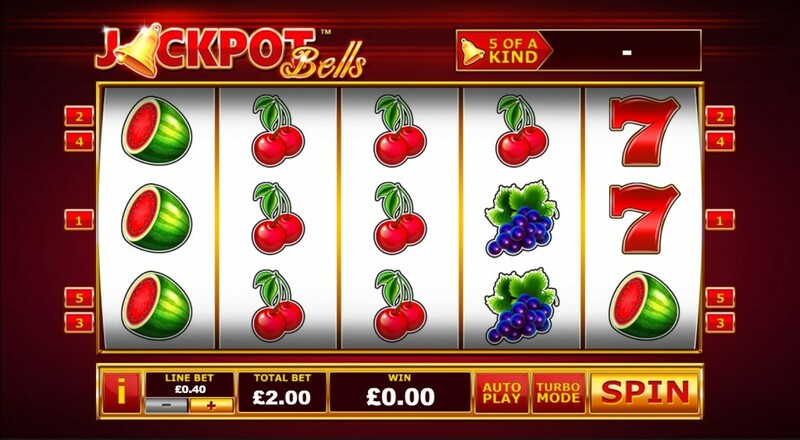 If you are looking for a traditional slots experience and the chance of winning a progressive jackpot then give Jackpot Bells a spin today and with a bit of luck you’ll be seeing bells across the screen.